The Nurture Her conference in Fiji, proudly sponsored by Optus, was an exclusive event for 200 leading business women. Its aim was to provide a space for successful women to relax, share ideas and be inspired by an impressive line-up of speakers. 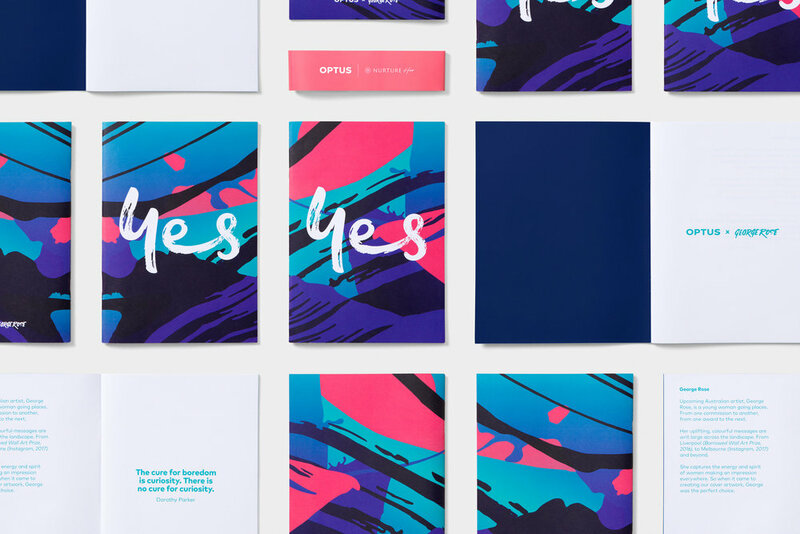 Re commissioned upcoming Australian artist, George Rose to capture the positivity, energy and spirit of the event, reflected within the Optus brand. 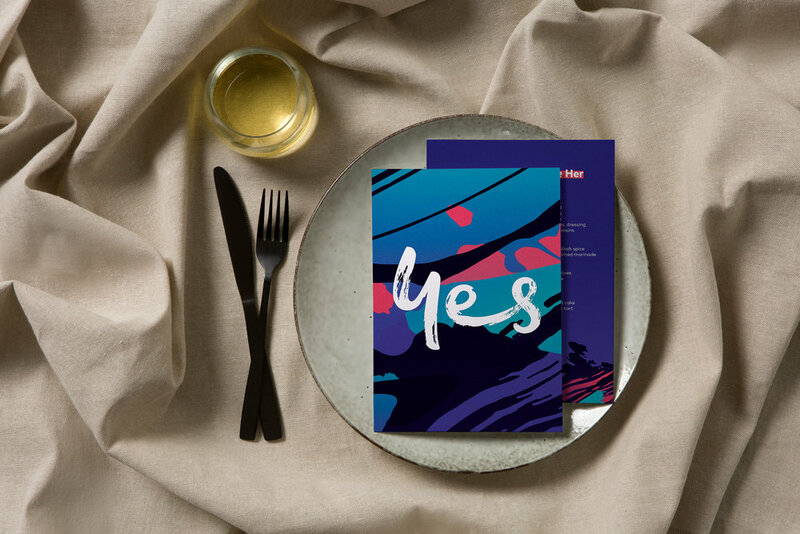 We then applied her vibrant work to everything from menus to a mural, place-making signage to passport wallets.